so we can bring balance to your images whether portrait or landscape. 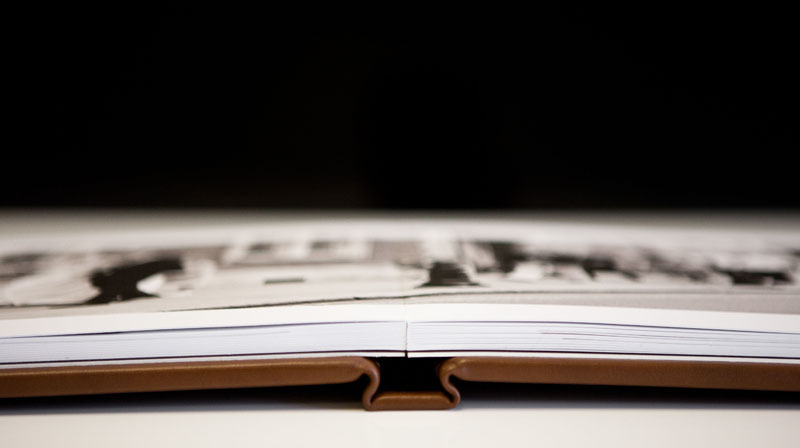 Our matte-finished fine art papers are truly worthy of their place inside our hand-made books. They are chosen to last a lifetime and have an impeccable, sustainable provenance. We offer three types. Art White is our wood-based 200 gsm paper and, by far, our most popular. It is a bright, white paper that reproduces a vivid spectrum of colours to deliver a punch. Alternatively, Art Cotton is a 100 per cent, 220 gsm cotton rag with a gentle texture that gives razor-sharp definition but with a warmer hue. 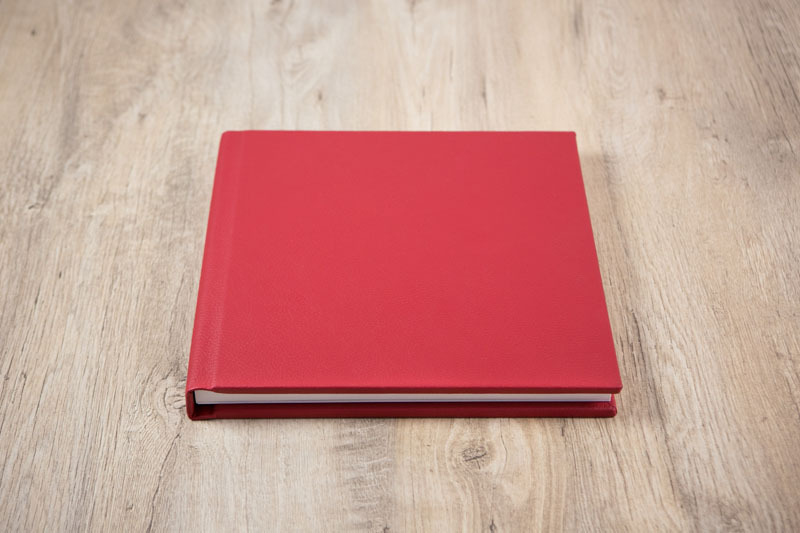 Creamier still is Gallery Cotton which has the same texture and base colour as Art Cotton but weighs in at 310gsm adding extra thickness to each page. 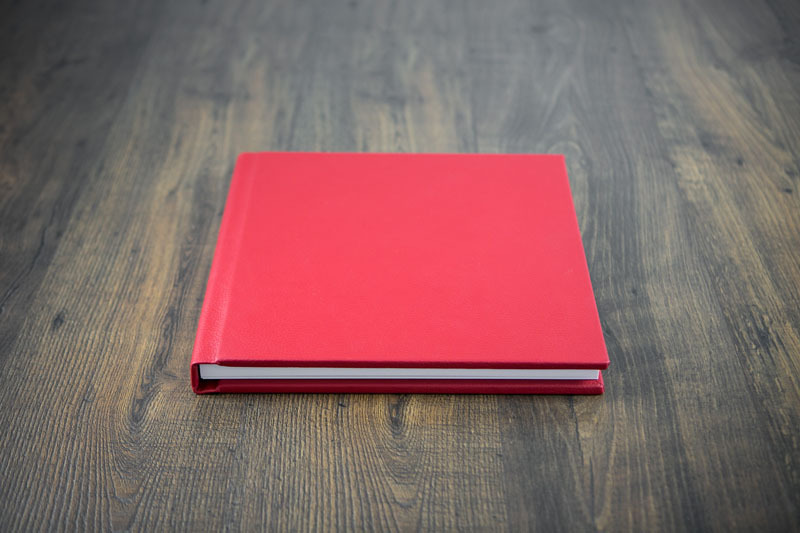 Because our papers are bonded back-to-back, our albums have a page-turn that feels just wonderful; flexible enough but durable for all that handling. Bags of easy style, however you want to play it. 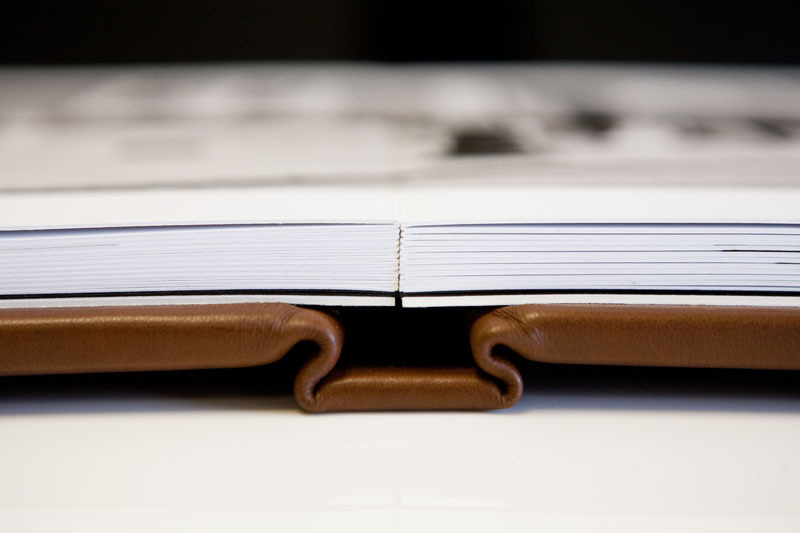 Some might call them slip cases and, for us, they’re simply album bags. However you refer to them, the cotton presentation bags our fine art albums come in are a reminder of how precious the contents are. 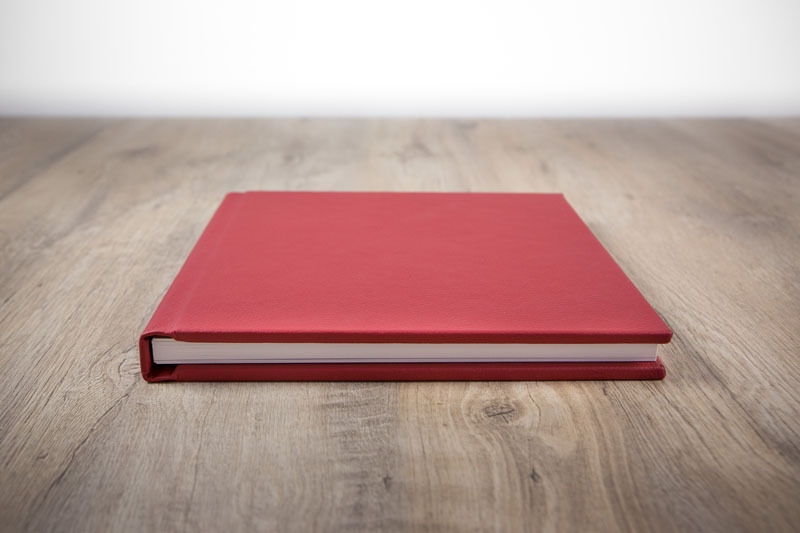 The bags also do the practical, important job of keeping our books clean and dust-free. If you want to upgrade, we’ve worked with a Yorkshire textile designer to offer bags in a range of pretty, patterned fabrics. There’s something wonderful about opening up a box and uncovering what’s inside. 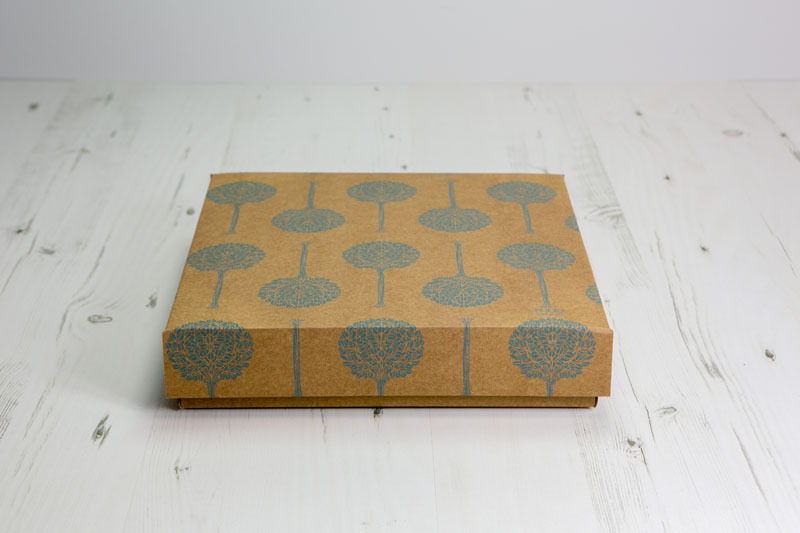 Each of our fine art albums is sent out in a Cotton Bag which is, in turn, displayed inside a Craft Cardboard Box, so that your presentation to clients will always live up to expectation. 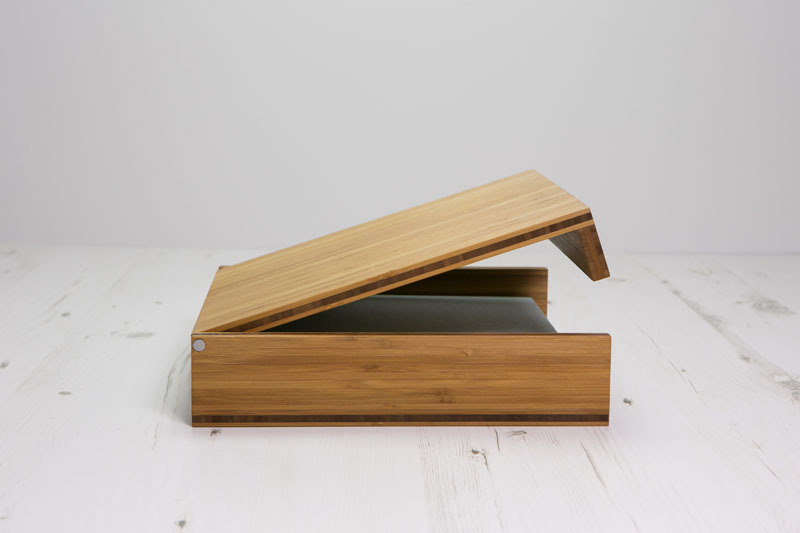 For extra special impact, you can upgrade to one of our popular and beautiful Bamboo Boxes. 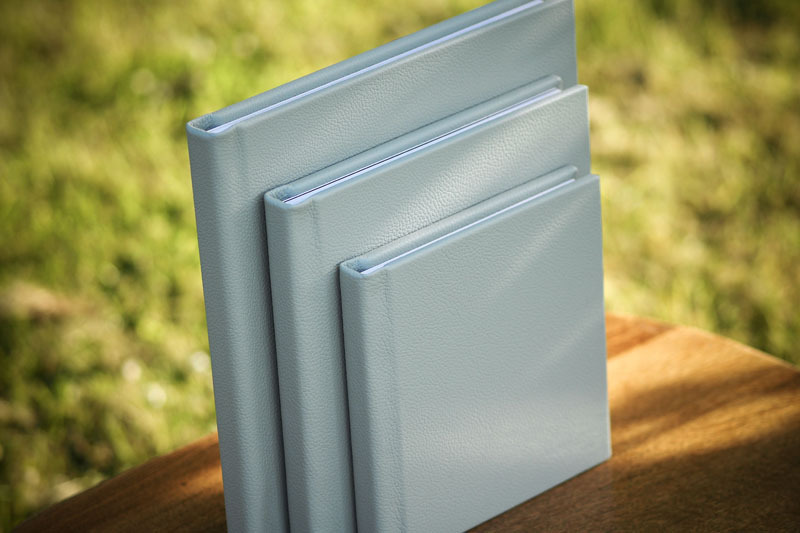 Our albums aren’t just to be looked at, they’re to be held and lingered over, and we have three leather ranges that just beg to be touched. They’re natural leathers of the finest quality and durability sourced from manufacturers with strict animal welfare policies. 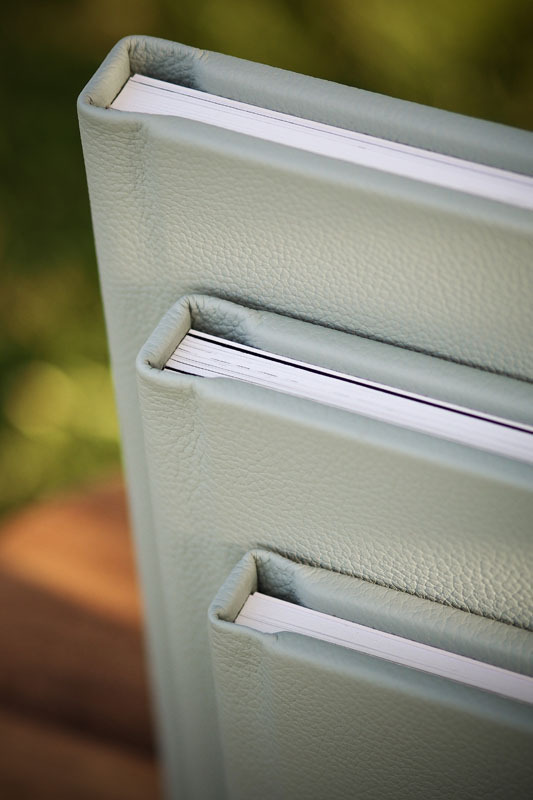 Because we think luxury should come as standard, our strong but tactile Contemporary Leather range is included in the base album price. However, you can choose to upgrade to our supple, Vintage Leather or opt for Eco Leather for the ultimate rich feel with second-to-none eco credentials. 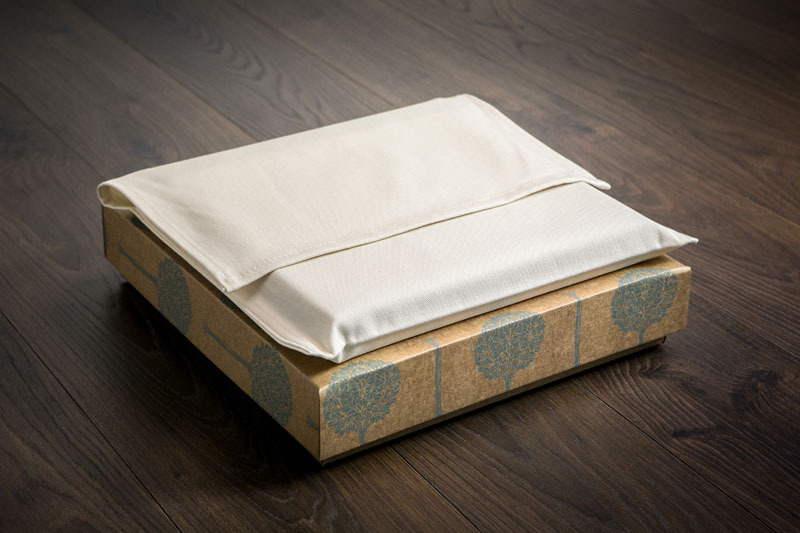 We also offer an upgrade to the unique quality and beauty of silk covers with a vibrant colour range that shimmers under the light. Our new high-quality Pastel Fabric, Bold Fabric and Essential Cotton has been selected for their strength and environmental qualities and can be substituted for Contemporary Leather for the same price. 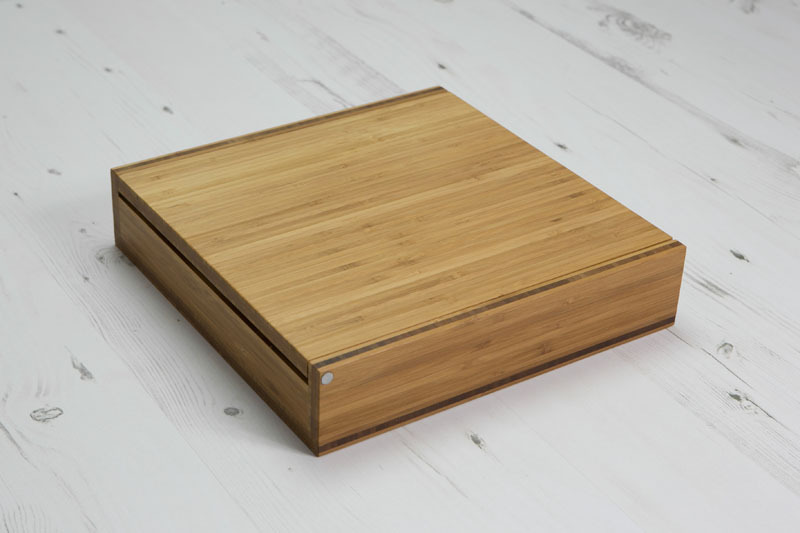 Responsibly-harvested bamboo plywood, bonded with soy-based glue with minimal VOCs. 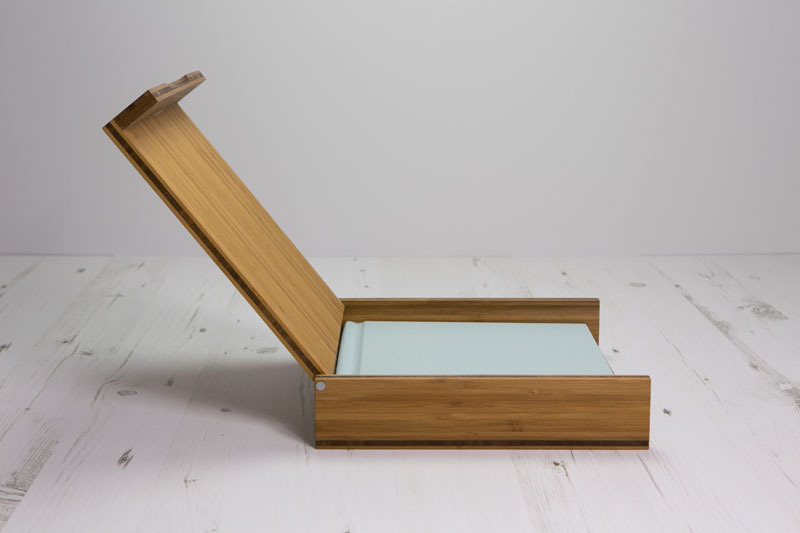 Our Bamboo Boxes are handmade by a Yorkshire craftsman with great attention to detail and quality, from the aluminium hinge to the smooth finger -groove and magnetic clasps. The grain variations mean no two are ever the same and, in addition, we can laser-engrave the lid with names, symbols or studio logos. 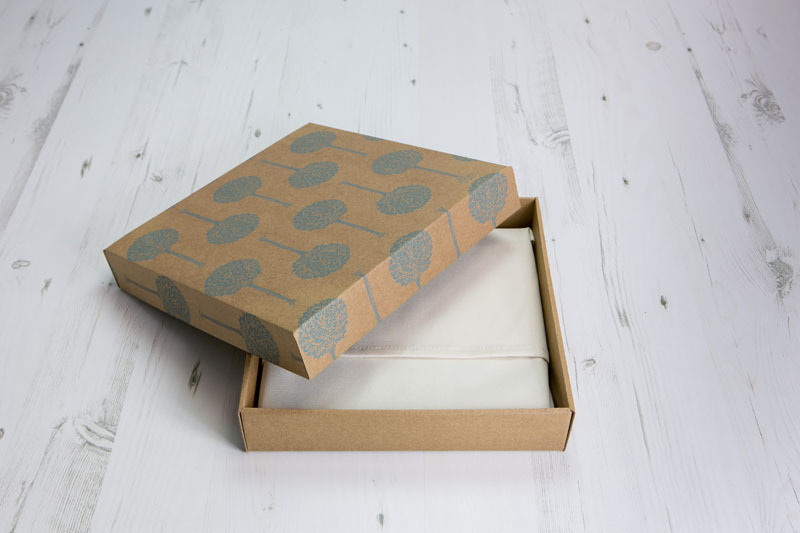 Our boxes snugly accommodate our 12” x 12”, 10” x 10” and 8”x8” albums and come as an upgrade to the standard presentation box and bag, or can be ordered as a standalone product. Choose from two depths. 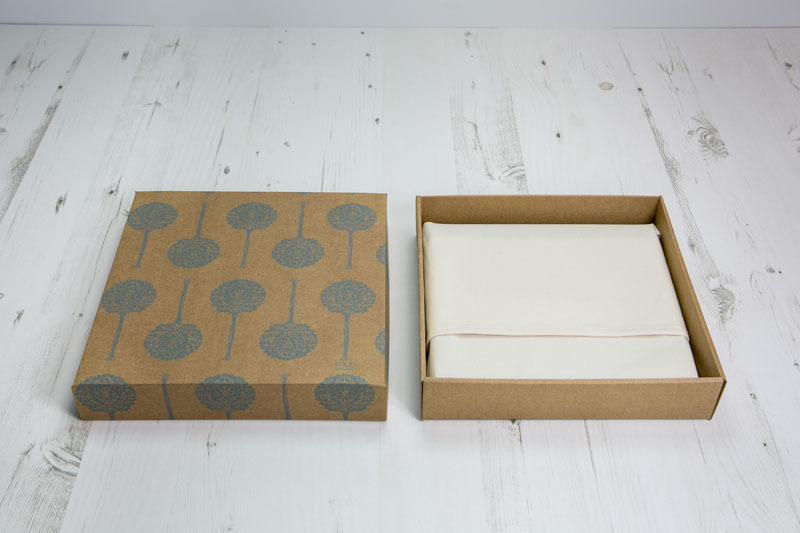 Box Depth 25 (Art White or Art Cotton paper up to 25 spreads, or Art Gallery up to 20 spreads) or Box Depth 40 (Art White or Art Cotton paper up to 40 spreads, or Art Gallery up to 40 spreads).